Another powerful display option for your Ultimate Form, is the option to use groups that can be toggled between expanded and collapsed. Below you will find the instructions to enable this option on your list. 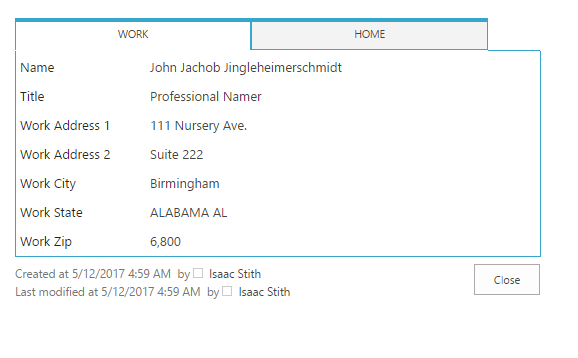 We will start up with some simple tabs configured against a simple Contacts list that divides a home and work address in the same list item. 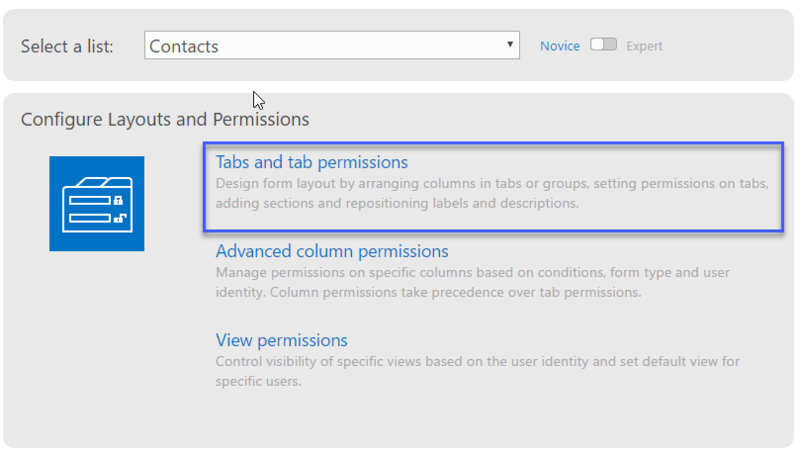 In the list, go to the design option to access the Ultimate Forms configuration settings and choose Tabs and tab permissions. Scroll down the General Settings area and under the Display as drop down and choose the Groups option. After that choose the Collapsibile check box to enable the the groups to toggle between expanded and collapsed. Afterwards, return back to the list item to see how your groups look when collapsed/expanded. Below you can see how our Contacts list looks with the Collapsible option checked.